It just doesn’t seem fair. 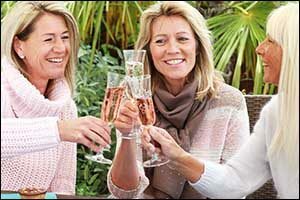 Women “of a certain age” already have enough to deal with, what with menopause lingering around the corner, increased risk for osteoporosis, and wrinkles. Why should you have to deal with hair loss too? Thanks to the treatment options available through the Correction Hair Solutions program at South Coast Hair Options, you no longer have to suffer through thinning hair and bald patches. Our hair solutions for women are designed to stop hair loss and provide viable solutions that will help you to look and feel like yourself again. If you want to learn how to stop hair loss without spending a fortune, wasting hours each week in a salon chair, or having to change your active lifestyle, come to our New Bedford hair loss clinic. If you have tried other methods to stop hair loss in women over 50 without satisfaction, it is essential to understand that the CHS approach is entirely different. Every treatment solution that we offer to our clients is completely tailored to match their individual needs. Hair loss is hereditary and one of the most common conditions affecting women in America today is alopecia. Treatment to stop hair loss and other replacement hair solutions for women are much needed in a world where your appearance matters. Whether you work outside the home or just want to look your best for that special someone, you need to get started right away to learn how to stop hair loss before it gets any worse. Scarves, hairstyles, and headbands are not the answer. Putting your hair up in a ponytail will only make the hair fall out more. Wherever you are losing hair, at the temples, crown or patchy all over the scalp, you need to find a custom solution that is designed specifically for you. In addition to laser hair therapy and other hair solutions for women, we also have professional Virtuesse treatment options and high-end hair extensions, that can be used for instant results. The best thing to do is come into our New Bedford hair loss clinic to discuss your issues and goals with one of our experienced technicians. We can help you find the solution that is right for you, your lifestyle, and your budget. Stop wasting your time and money on over-the-counter shampoos, oil treatments, and home remedies that just won’t do anything to stop hair loss in women over 50. A woman who is experiencing thinning hair at the crown needs a different solution than a woman who has hair loss at the temples. Nearly every “hair treatment” sold on the market today claims to treat every hair loss problem out there. Because there are so many underlying causes that can lead to hair loss, there is no way that a one-size-fits-all solution in a bottle could fix every single one. Our team will work with you to solve all of your unique hair loss issues and restore your natural appearance. When you trust our team to provide hair solutions for women, we will help you take back control over your looks and your life. Our Corrective Hair Solutions (CHS) program is designed to take into consideration your unique pattern of hair loss, the rate of your hair loss, your age, your hair’s natural growth patterns and tendencies. We work with your existing hair and do not require you to shave the hair that you have left. Our treatment options are safe and natural, totally painless, and will not restrict your active lifestyle. Designed specifically to help with hair loss in women over 50, our approach will help you to look your best, and no one will ever have to know. Women can experience hair loss for both genetic and non-genetic causes. Stress, malnourishment, emotional disorders, and prescription medications can all impact hair loss for women of all ages. We will identify the exact cause to provide you with a real solution at our New Bedford hair loss clinic. 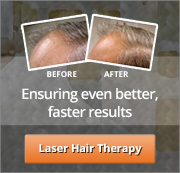 Call today to schedule a full evaluation and learn how to stop hair loss once and for all. Nearly 40 percent of all women in America will experience some degree of hair loss at one time or another. Let us help you get back to looking and feeling like yourself again. Contact South Coast Hair Options by calling 508-995-7085 to speak with one of our representatives.